The Pakistan People’s Party leadership is in a quandary over appointing an able person to lead the party in Punjab province, as the incumbent president Mian Manzoor Wattoo has been unable to rally the support of the senior leadership and workers in Punjab. 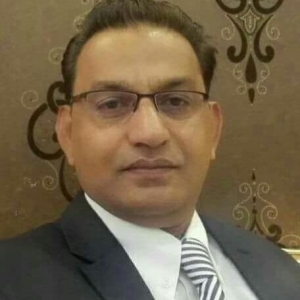 According to informed sources, PPP Co-Chairman Asif Ali Zardari had offered the party’s top slot in Punjab to party’s secretary-general and his close comrade, Latif Khan Khosa but the latter has politely declined the offer saying that he cannot spare time to the office owing to his professional engagements. A well-placed source in the party revealed that Zardari made the offer through Senator Rehman Malik last week after PPP chief Bilawal Bhutto had refused to undertake Punjab visit with Manzoor Wattoo. Rehman Malik, who is in London these days with former president Zardari, however, denied that he had conveyed any such offer to Khosa, saying such rumours were being circulated by some party leaders to create unnecessary discussions. The source, however, said that Rehman Malik had called Khosa last week, making him the offer from Zardari. Khosa had come very close to Zardari after his support to his nomination as PPP’s president during the last meeting of the party’s central executive committee in Larkana. “The co-chairman wanted to return the favour of Khosa for his wholehearted support to his nomination when a ‘gang of four’ had rebelled against him. However, Khosa told Malik to inform the party chief that he cannot carry out whirlwind tours of the province due to his hectic professional engagements,” the source said. “How could I afford to accompany the party chairman when I have to appear before the courts? Even, at times, I have to appear in courts in the federal capital five days a week,” Khosa told an adamant Malik when he pressed him to take up the responsibility. “Moreover, I am also performing party’s responsibilities as the secretary-general,” the source quoted Khosa as having said. Malik, however, refused to budge and told Khosa to keep both the offices simultaneously. “You may perform both responsibilities. Asif Zardari wants you to perform as the secretary-general and also as the party’s Punjab president,” Malik told Khosa who replied that “a person cannot simultaneously hold two offices of a party under the political parties act”. Reportedly, PPP Chairman Bilawal Bhutto has postponed his scheduled visit to Lahore and has arrived in Islamabad instead. According to the source, Khosa was being dished out the party’s Punjab chief slot after Bilawal declined to carry out his trip across Punjab along with Wattoo, who the party leadership believes has become increasingly unpopular among the local cadres. “When Latif Khosa refused, Malik asked him to name any of his comrades who could be trusted for the job. Khosa however replied he was leaving for a 10-day visit to Norway and he would make suitable nominations upon his return,” the source further said of the talks. The PPP leadership is having trouble finding a suitable person to take the reins for the party’s Punjab’s chapter. 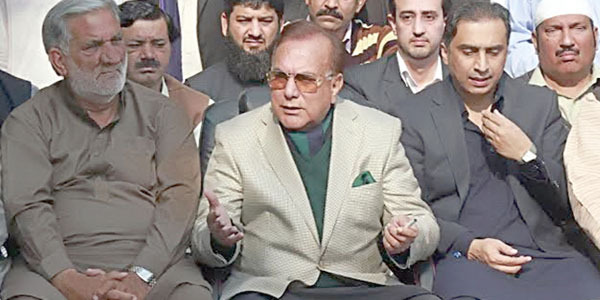 Manzoor Wattoo, despite having served as the Punjab chief minister, is seen as an intruder in the PPP because of his past as a veteran Muslim Leaguer. The PPP workers have revolted many times against him, compelling the party leadership to consider replacing him with a more likeable person. Zardari had shortlisted former information minister Qamar Zaman Kaira for the slot, but Kaira drew ire after he opposed Zardari as party’s leader. Kaira not only held Zardari responsible for the party’s poor show in recent polls, but had also been instrumental in a rebellion against Zardari which was later foiled by the PPP co-chairman. Another possible choice was Nadeem Afzal Chan but it was later discarded by Zardari after the former told Bilawal to remove Zardari and rather take over the party’s leadership. Jahangir Badar was also a probable candidate but he was also rejected by Zardari for opposing the party policies.